Cherry Mobile Ultra announced as the latest 4G-capable smartphone of the top local company. Users will now enjoy mobile internet at exceptionally faster speed for an affordable price. You may have recalled that CM released the W900 LTE last year. The phone was marketed to be the first locally branded smartphone with Long Term Evolution connectivity for a price of Php 11,499. This June, the PH market leader will give you a wise choice for a very smart price. 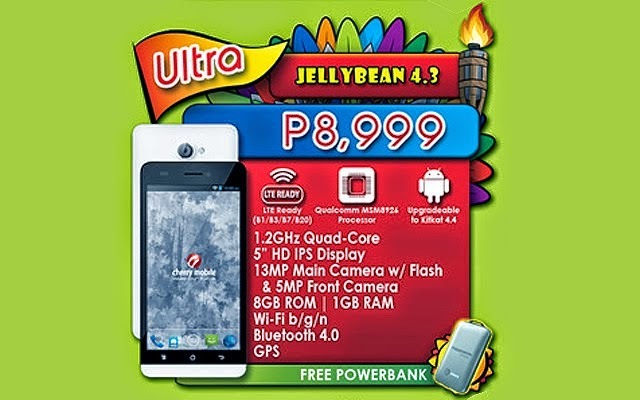 Strategically priced at Php 8,999, this powerhouse offers you ultra stunning features for an optimum user experience. 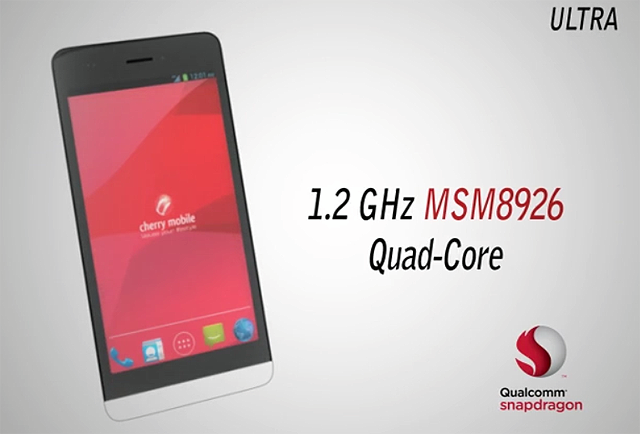 The phone packs 1.2GHz Qualcomm MSM8926 Snapdragon 400 (quad-core) processor for a fast and seamless performance. Aside from the CPU, the Adreno 305 GPU boosts graphics speed for best gaming experience. Not only that, it sports a 5-inch HD IPS Display which retains image quality even when viewed at wide angles. Design-wise, it has a slim form factor and a matte finish to give you a better grip. CM Ultra will have an 8G on-board memory which you can expand up to 32GB via microSD. It also has a gigabyte of RAM for your multitasking activities. Camera-wise, it is rated with a 13MP main camera with LED flash and BSI sensor to enhance low light captures; its front snapper also has a decent 2MP rating for your selfie shots. Out of the box, this handheld device is powered by Android 4.3 Jelly Bean with a promised KitKat update. Overall, this new device is a stand-out among its competitors. With the staggering demand for high speed internet nowadays, the popular brand takes the lead and gets the spotlight in bringing affordable LTE smartphones with ultra powerful features.